Logging training is fast becoming as integral to the training of runners as the sessions themselves. Online training diaries are revolutionising the way athletes train and also the way their coaches coach them. New wireless technology enables you to automatically upload you workouts from your watch or cycling computer so that you can analyse it later on. This comes in to its own particularly when you take a step back and analyse a month or a few months at a time. Doing this helps you see trends in performance and fatigue that help to take the guesswork out of training, tapering and recovery. There are numerous benefits to keeping a training diary. Through diligent uploading and entry of session and race data, it becomes much easier to spot trends in the body’s response to training. This is invaluable in helping you know when to train harder and when to let the body recover. Of course, what most runners are interested in is getting stronger and faster and using the data, it’s simple to spot progression, analyse changes in performance and plan or reassess goals as necessary, all of which help with race preparation. Just as planning your training helps you to motivate you to get out the door for each session, having a log of the obstacles you have overcome and the training completed can be a fantastic motivational tool. All of this will aid you in your progression towards a new goal, whether getting around your next event in one piece, posting a new personal best or crossing the line in first place. Set goals – the goals you set yourself are integral to you prgression and your continued motivation. They are also acheivable when you know exactly what you have done in the past. Download training plans or upload your own. 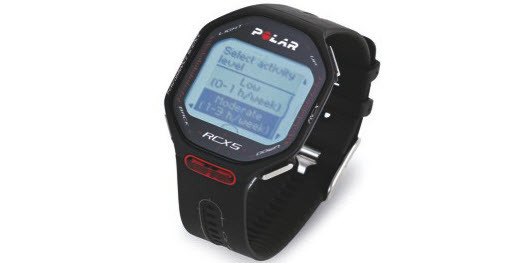 Upload all Garmin and Polar training information. Map your routes enabling a more accurate view of your training pace. Get a complete record of your training. Technology is is constantly evolving, so getting into online training now is a must. It’s only going to get more advanced as time goes on, so dip your toe in now before it all passes you by. What’s A Good Time For A 10K Race?